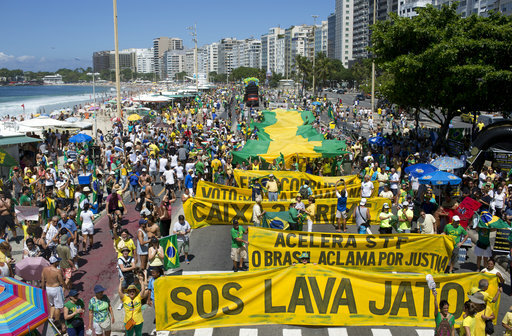 CURITIBA, Brazil (AP) — A shy federal judge based in a provincial capital has become an unlikely celebrity in Brazil, where he is shaking up the nation’s power structure while overseeing what may be the largest corruption probe in Latin American history. He’s noted for writing meticulous legal decisions — much faster than most Brazilian judges do — that are rarely overturned by higher courts. He’s also known as a stickler for even minor rules. While teaching in 1996, he warned law student Rosangela Wolff de Quadros that she’d be marked absent and might flunk his course if she skipped a Friday night seminar to attend a friend’s wedding. Piece by piece, Moro and a team of investigators revealed that top officials in construction companies such as Odebrecht, OAS and Andrade Gutierrez effectively formed a cartel handing out multi-billion-dollar contracts that were inflated to pay kickbacks and bribes to scores of politicians. Last year, he was sharply criticized for releasing a wiretapped conversation showing then-President Dilma Rousseff discussing the details of a chief of staff job for her mentor, former President Luiz Inacio Lula da Silva. That appointment, eventually blocked, would have removed Silva from Moro’s jurisdiction because only the Supreme Court can decide whether to prosecute elected federal officials and Cabinet members. 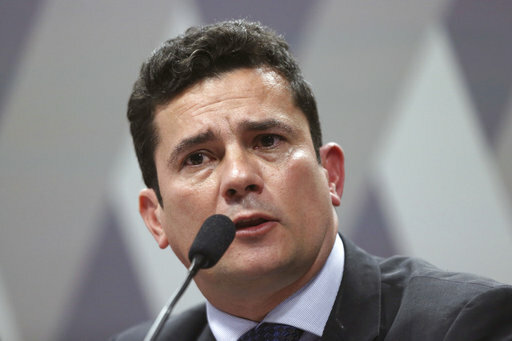 Moro’s judgments have hit those across the political gamut. Last week, he sentenced Eduardo Cunha, the former speaker of the lower Chamber of Deputies who led the impeachment push against Rousseff, to 15 years in prison. Moro’s prominence has earned him numerous international awards, but he appears more put off by the fame than moved by it. His daily life is like it always was — though now with bodyguards. He jogs at a park, has long days at work and his home life centers around family and a very small group of friends.